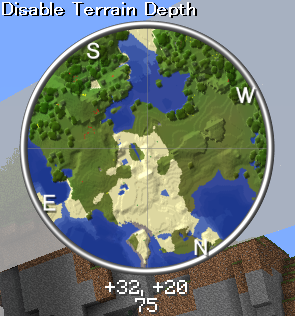 Do you want to take a mini map in your Minecraft, where you could provide you easy way to use caves and mobs features? So, let try Rei’s Minimap Mod to feel this. Moreover, you also set waypoints to your location even you can set it for a location where you supposed to discover. 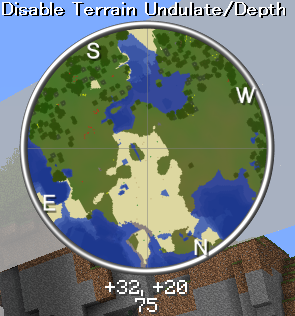 A big world of Minecraft. It can be viewed from skyscrapers which you have finished building in months of work or when you ride on a plane to discover the surrounding. It offer the different view and bring the exotic feeling of how your world of Minecraft will look like from the different view. However, no matter how high you are in the sky, how far you travel from your home, your world is still a big world – a very big dimension that cannot be bared under your eyes. It needs to be minimized. 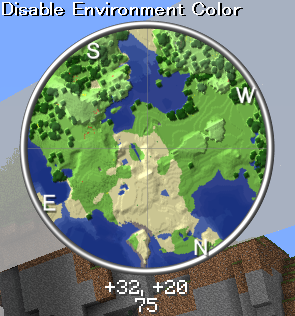 And Rei Minimap Mod will let you do that. It will minimize your surrounding and land that you want to minimize into a small round screen appearing at the right corner of your screen (can be configured depending on your wish). Rei Mini Map Mod is particularly useful in finding underground ores, caves,… It looks familiar like the minimap in other FPS games. Browse to %appdata%/roaming/.minecraft and open your “mods” folder. (If one does not exist you can create one.